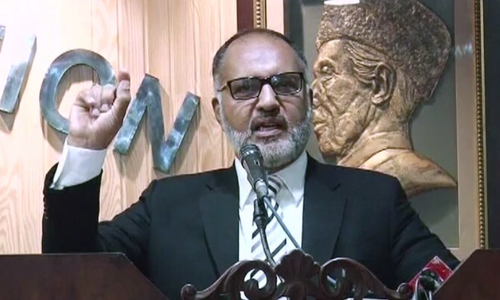 The Supreme Judicial Council (SJC) — which conducts proceedings on complaints against judges — on Wednesday issued a show-cause notice to Islamabad High Court (IHC) judge Justice Shaukat Aziz Siddiqui for a controversial speech he had made in Rawalpindi. The SJC has directed Justice Siddiqui to submit a statement on the matter by August 28. Last week, in a speech delivered before the Rawalpindi District Bar Association, Justice Siddiqui had alleged that a security agency had "manipulated judicial proceedings" and "gets benches formed at [its] will". 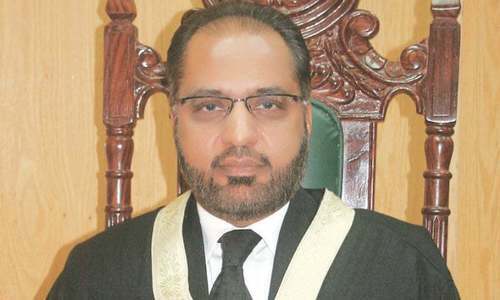 He had further claimed that the spy agency had approached IHC Chief Justice Muhammad Anwar Khan Kasi and said: "'We do not want to let Nawaz Sharif and his daughter come out [of the prison] until elections, do not include Shaukat Aziz Siddiqui on the bench [hearing Sharifs' appeals]'." 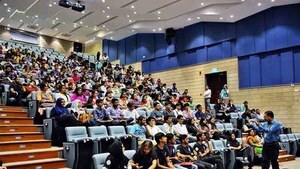 The speech had caused a flurry across the country and Chief Justice CJ Mian Saqib Nisar had taken notice of the controversial claims made by Justice Siddiqui and termed them "inconceivable and unacceptable". The army's media wind also reacted by appealing to the chief justice to take appropriate steps to "ascertain the veracity of the allegations and take actions accordingly" in order to "safeguard the sanctity and credibility of the state institutions". The speech was not the first time Justice Siddiqui had sparked a controversy. Two references against him were already pending before the SJC. The first reference pertained to a corruption case filed against him by an employee of the Capital Development Authority (CDA). In the second reference, the SJC is reviewing his critical comments regarding the role of the army in last year's Faizabad sit-in led by the Tehreek-i-Labbaik Pakistan. The SJC will be holding an inquiry against Justice Siddiqui with regard to the above-mentioned references, which, unlike past SJC inquisitions, will be conducted in an open court. Good move to demonstrate, law is same for all! No judge should make controversial statements of accusations against others without a proof and well-defined court proceeds presented to him. Justice Siddiqui is bringing a bad name to an independent judiciary. Can any body tell me about his relation with Irfan siddiqui ?, who is perhaps the close associate of Nawaz Sharif. Show cause notice for speaking truth.